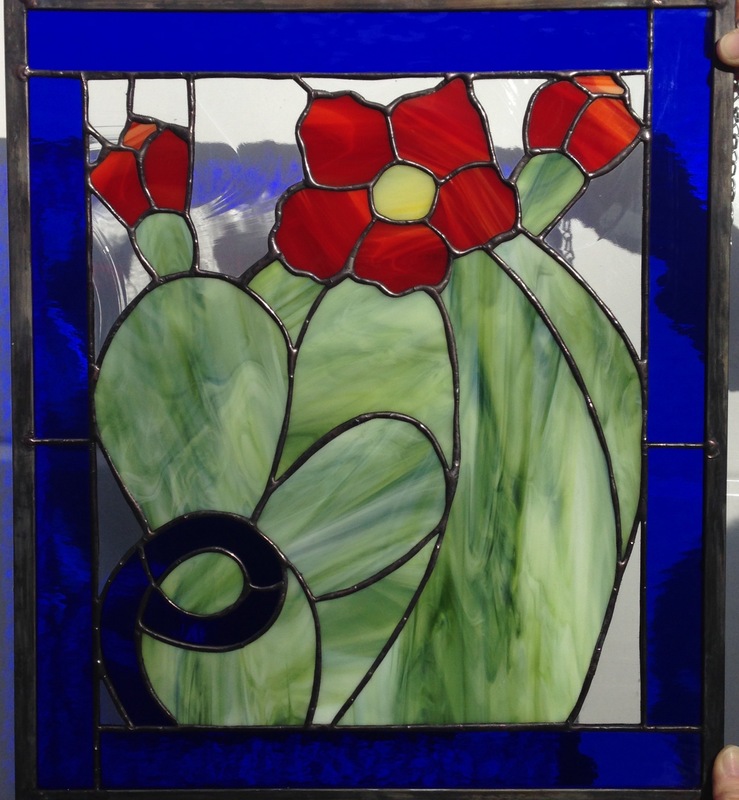 Beautiful piece with Cactus, Flowers and a beautiful cobalt blue background. Measures approximately 16-1/2: x 18-1/2″. For more information please call (713) 899-0933! !